come together to teach one million at-risk youth to meditate. Friday, April 3, 12 noon to 1 pm edt. Wth John Hagelin, Donovan, Paul Horn, Bettye LaVette, Mike Love. will explain the benefits of meditation for young people. A new study published in the peer-reviewed International Journal of Psychophysiology found that students who practice the Transcendental Meditation® technique are more resilient to the acute academic, financial, and social pressures of college life. “Effects of Transcendental Meditation practice on brain functioning and stress reactivity in college students” is the first random assignment study of the effects of meditation practice on brain and physiological functioning in college students. The study was a collaboration between the American University Department of Psychology in Washington, DC, and the Center for Brain, Consciousness, and Cognition at Maharishi University of Management. The 50 subjects were randomly assigned to a group practicing the Transcendental Meditation technique or a control group. Physiological and psychological variables were measured at pretest, before the students were assigned to their groups. The posttest was 10 weeks later — just before final exam week. The control data from the study showed the detrimental effects of college life. “The non-meditating control group had lower Brain Integration Scale scores, and an increase in sympathetic reactivity and sleepiness,” said Dr. Travis, who directs MUM’s Center for Brain, Consciousness, and Cognition. In contrast, the meditating students, had higher Brain Integration Scale scores, more alertness, and faster habituation to a loud tone — they were less jumpy and irritable. David Haaga Ph.D, professor of psychology at American University and co-author of the study, found the outcome encouraging. “Entering a state of restful alertness could be beneficial for the students in terms of their ability to learn material in class and think more clearly, in ways that any other relaxation procedure might not achieve for them,” he said. “These results suggest that the practice of the Transcendental Meditation technique can be of substantial value for those who face the rigors of an intense and challenging learning/working environment,” Dr. Travis said. Watch video with Dr. Travis discussing his research. Raunchy radio star Howard Stern has -- believe it or not -- copped to being a student of Transcendental Meditation for years. That doesn't explain why he feels the need to run a mini-radio empire based on people who make bad decisions in life. Still, every morning -- at 4 am -- and night he clears his head and meditates. Stern credits the practice with helping him quit smoking and achieve his goals in radio. He also announced on his Sirius show last week that he will appear at Hollywood director David Lynch's "Change Begins Within" concert at Radio City Music Hall on Saturday, April 4. Also appearing are Paul McCartney, Ringo Starr, Eddie Vedder, Donovan, Sheryl Crow, Ben Harper, Moby, Bettye Lavette, Paul Horn and Jim James. David Lynch and other proponents of TM suggest that students who spend 15-20 meditating each morning experience better concentration in school, better academic performance and lower incidences of depression and anxiety. Despite Howard Stern's repeated self-proclamations that he is the "King of All Media," he rarely makes live appearances in public outside of his radio show. Stern stated that he originally considered declining Lynch's offer to appear because of his discomfort about appearing in public, but changed his mind because he believes in the cause so strongly. He also stated that Transcendental Meditation helped to reduce his mother's symptoms of depression. Learn more about the concert at DLF.tv. Information on transcendental meditation scholarships can be found here. David Lynch is having a Web TV party! Paul and Ringo are invited! Today, David Lynch launched David Lynch Foundation Television (www.dlf.tv), a new online venture that he calls a "celebration of consciousness, creativity and bliss." As you probably know, in addition to being one of the most envelope-pushingly creative filmmakers working today -- I still get freaked out thinking about Bob from Twin Peaks -- Lynch is a devotee of Transcendental Meditation with 35 years experience. His foundation is dedicated to teaching at-risk youngsters to meditate as a way of coping with stress. Now, he's got this new site dedicated to all things Transcendental Meditation -- or just TM for those in the know -- and it's chock-full of videos, docs, and other odds and ends that Lynch fans will gobble up. Aaaaaand, on April 4, dlf.tv will also host its very first webcast, a concert at New York City's Radio City Music Hall headlined by Paul McCartney and featuring Ringo Starr (two Beatles under one roof! ), Eddie Vedder, Sheryl Crow, and Lynch’s jamming buddy, Moby. You still have to mosey on over to davidlynch.com to watch the guy's daily weather reports for the L.A. area or buy his coffee (all organic all the time! ), but tell me PWAAFL -- that's PopWatchers Who Are Also Fans of David Lynch -- are you into the idea of dlf.tv? Could it be your ticket to consciousness, creativity and bliss? It's Baba Booey meets Maharishi. A peaceful, comfortable place to meditate. Howard Stern announced last week that he has accepted an invitation from acclaimed film director David Lynch to appear at the "Change Begins Within" concert to benefit the cause of teaching transcendental meditation to children. Howard Stern reports that he has practiced transcendental meditation (TM) for many years and that it has helped him to be more successful, happy and relaxed in his life. The neurotic talk radio superstar credits TM with allowing him to keep up his rigorous show schedule while maintaining his sanity. David Lynch has created his own foundation to promote the cause of providing free Transcendental Meditation education in America's schools. The foundation's website states that their goal is to "ensure that any child in America who wants to learn and practice the Transcendental Meditation program can do so." Lynch and other proponents of TM suggest that students who spend 15-20 meditating each morning experience better concentration in school, better academic performance and lower incidences of depression and anxiety. Meditation is an effective medium to reform jail inmates as after being involved in criminal activities they get filled with negative thoughts and feel frustrated and lonely when lodged in jails. 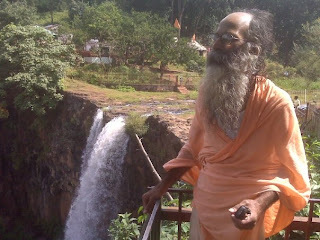 This was stated by Swami Shailendra Saraswati, who has been assigned the task to teach transcendental meditation (TM) to around 14,000 prisoners in 11 jails of the state. Meditation helps in bringing about consciousness and generating positive thoughts, he said. The spiritual guru has also been teaching mediation to police personnel and officials of the administration. “The Director General of Police (prisons), Dr John V George, has requested me to teach meditation to the officers and inmates of all jails in Haryana, after he himself experienced the effects of meditation. I first taught meditation to jail inmates, including women prisoners and those under solitary confinement, in Ambala Central Jail. The inmates felt liberated even while lodged in the jail that was the effect of meditation,” he said. Shailendra Saraswati, who served as founding principal of Maharishi College of Management at Nairobi, Kenya, and dean of faculty at Majority International University, Oslo, Norway. He also taught managerial statistics and physics at Maharishi University of Management at Fairfield, Iowa, US. He said though he was selected for admission to IIT, he decided to pursue pure science as a national scholar. After completing B.Sc (Honors) in Physics from Delhi University, he did M.Sc with specialisation in elementary particle physics. “It was then I had started to realise that at the quantum level of reality, it will become necessary to understand consciousness as the source course and the goal of the physical universe which was not possible by purely objective physical means used in physics. After completing PGDM from IIM, Ahmedabad, and working in public sector for a few years, I again realised the futility of trying to change the world at a superficial level,” he added. “My search ended with learning Maharishi Mahesh Yogi’s transcendental meditation (TM) at a forest academy in Finland,” he added. Der Windprinz mit der Mondgitarre ist wieder da: Donovan, ein Barde zwischen transzendentaler Meditation und Folk-Pop mit Leuchtkraft. Musiziert mit der Kraft des Maharishi Yogi: Donovan. «Ich werde dir goldene Äpfel bringen und Weintrauben aus Rubinen, die in den Augen eines Windprinzen geglänzt haben.» Mit diesen Worten empfängt der Schotte Donovan Leitch die Besucher auf seiner Website. Es ist dies ein Zitat aus der Ballade «Legend of a Girl Child Linda» von Donovans vielleicht bester Platte «Sunshine Superman». Damals - 1966 - hatte der Folk-Barde gerade seine Instrumente elektrifiziert und seine Sprache psychedelisiert. «Sunshine Superman» ist ein bis heute gültiges, bunt schillerndes, sanft rockendes und wild delierendes Songwriter-Album, es klingt gerade so, wie man sich einen gerade angebrochenen Frühsommertag im «Summer of Love» vorstellt. Jene Zeilen beinhalten aber auch schon all das, womit sich Donovan seither bei Folk- und Popfans suspekt gemacht hat. Seine Naturmystik, sein Interesse am Verzauberten, Übersinnlichen haben ihn zu einem glühenden Anhänger des Maharishi Yogi gemacht. Man munkelt sogar - und Donovan widerspricht da nicht wirklich -, der «Hurdy Gurdy Man» aus einem seiner bekanntesten und meistgecoverten Hits wäre niemand anders als der bärtige Guru aus Indien. Bis heute beeindruckt Donovan mit seinem Kunstvibrato-Gesangsstil, mit der Unerschütterlichkeit, die seine Songs dank der filigranen und rhythmussicheren Arrangements ausstrahlen, selbst wenn es sich um verwehtes Gitarrengezupfe wie in «Isle of Islay» handelt. Die Politbarden-Texte seiner frühen Platten freilich sind vergessen und durch Heilsversprechen à la «Atlantis» - schon wieder so ein Welthit - abgelöst. An Bedeutung hat Donovan auf diesem Weg zweifellos eingebüsst. Bis heute aber beeinflusst dieser pophistorische Einzelgänger junge Bands wie Belle & Sebastian und die aktuelle Generation verschrobener US-Folker. Die Gelegenheit, ein Donovan-Konzert zu sehen, sollte man sich auch darum nicht leichtfertig entgehen lassen. Paul Horn with George Harrison in 1968 in India. Victoria jazz flautist Paul Horn just turned 79, but that's not stopping him from appearing with Sir Paul McCartney, Ringo Starr, Donovan and Sheryl Crow at a benefit concert at New York's Radio City Music Hall on April 4. "They should have held it in Madison Square Garden," he joked, noting the event was sold out in seconds, with tickets priced from $99 to $500 US. Internet scalpers are reselling them for up to $4,250. "It's very exciting getting together again -- man it's been 40 years," said Horn, who first met the Beatles and Donovan at Maharishi Mahesh Yogi's ashram in 1968. He was making a film about the holy man, and they all studied transcendental meditation together. "During about six weeks I got to know Paul and George best, Ringo only stayed about two weeks. John was more of a loner, although interested in learning to play the flute. George was studying the sitar and we'd go to a little hut sometimes and jam. Donovan was there the whole time -- the quintessential flower child, a very sweet, gentle soul." He and Donovan later toured the U.S. together twice. The concert will raise funds for the David Lynch Foundation, which wants to teach a million children to meditate, said publicist Steve Yellin from Iowa. "We've already taught more than 70,000 around the world and hundreds of schools in the U.S. have now applied." Horn applauds Lynch for bringing transcendental meditation into schools, to help reduce stress and bullying, and increase creativity and health. "It's an ambitious project, but it's all about timing. It has taken time for the West to finally connect with Maharishi's message, and realize TM is not a religion." All the musicians are donating their time, said Horn, who has recorded more than 40 albums, won Grammys and worked with everyone from Frank Sinatra and Duke Ellington to Nat King Cole. Other performers at the event are Ben Harper, Moby, Bettye Lavette and Jim James. How will Horn fit in with the youngbloods? "I'll be there to give a break from the energy," he said with a chuckle, adding he'll play a piece with Donovan, then an improvisational solo with digital delay -- echo effect -- that he guarantees "will quiet the crowd." He perfected the technique in 1968 in the Taj Mahal -- a flawless echo chamber -- that resulted in his famous album Inside. Horn, who will travel to New York with his wife Ann Mortifee, has never played in Radio City Music Hall, although he has performed in New York many times -- twice at Carnegie Hall. "I'm doing this because I value TM. It has immeasurably affected everything in my life and is a reflection of who I am, my music." The International Journal of Psychophysiology has published the first random-assignment clinical study on the effects of the TM technique (Transcendental Meditation) on brain functioning and stress reactivity in university students. Results indicate that TM significantly improved students' brain function and reaction to stress. Those not practising TM showed decreased brain function and other measures of decline in only 10 weeks, from pre-test to post-test in the spring term leading up to Finals' Week (in the USA). Beginning in January 2006, scientists, including faculty of American University in Washington, DC, investigated the brain function, cognitive development, and health of 298 university students in the Washington area. Fifty students volunteered for a 10-week sub-study, and were randomly assigned to two control groups, either 'Immediate-start' or 'Delayed-start' for instruction in the Transcendental Meditation Technique. Research methods included EEG (brainwave) analysis combined to form a Brain Integration Scale and other empirically identified measures. Data from the 'Delayed-start' group revealed significant decreases in Brain Integration Scale scores, increases in sleepiness, and impaired recovery from stress. In contrast, the practice of the Transcendental Meditation Technique by the 'Immediate-start' students appeared to buffer the effects of the high stress college lifestyle—students were less tired, recovered from stress better, and showed increased Brain Integration Scale scores, which is correlated with emotional stability, higher moral reasoning, and decreased anxiety. A recent study by the researchers at George Washington University has revealed that practicing Transcendental Meditation for a minimum of 10 minutes a day has the ability to considerably reduce ADHD (Attention-deficit-hyperactivity-disorder) symptoms in children. ADHD is a common behavioral disorder affecting 8 to 10 percent of school-age children. Kids with ADHD, usually act without thinking, have trouble focusing on a particularly activity and are generally hyperactive. Although, such children understand what is expected of them, they experience trouble in focusing, due to their lack of ability to sit still, focus, or pay attention to details. A group of 10 students in the age-group 11-14 years, diagnosed with ADHD, were asked to practice meditation twice a day in school for ten minutes, by the researchers during their study. Following three months of practice, it was noticed that the students showed more than 50% reduction in stress and anxiety levels and improvement in ADHD symptoms. The lead researcher at the University, Sarina J. Grosswald, said that the impact of meditation was much more than expected. The children showed considerable improvement in attention span, organizing skills, working memory, and behavior regulation. According to Grosswald, when the in-school meditation routine was incorporated, teachers were able to teach more, and students were able to learn more, as they were less stressed and anxious. The clinical Neuropsychologist and co-author of the study, William Stixrud, at Silver Spring, Maryland, explained that stress generally interferes with the ability to study, as it shuts down the brain. Although medication for ADHD is effective for few children, it is ineffective among others, and there is the additional worry of associated side effects. “It is normally difficult for anyone under stressful conditions to pay attention or organize themselves and get things done. Hence, Transcendental Meditation technique, which reduces stress and organizes brain functioning can reduce ADHD symptoms, too” Stixrud added. Transcendental Meditation may be an effective non-medicinal tool for students to buffer themselves against the intense stresses of college life, according to a new study to be published in the February 24 issue of the peer-reviewed International Journal of Psychophysiology. "Effects of Transcendental Meditation practice on brain functioning and stress reactivity in college students" is the first random assignment study of the effects of meditation practice on brain and physiological functioning in college students. The study was a collaboration between the American University Department of Psychology in Washington, D.C., and the Center for Brain, Consciousness, and Cognition at Maharishi University of Management in Fairfield, Iowa. The study investigated the effects of 10-weeks of Transcendental Meditation (TM) practice on "Brain Integration Scale" scores (broadband frontal coherence, power ratios, and preparatory brain responses), electrodermal habituation to a stressful stimulus, and sleepiness in 50 students from American University and other Washington, D.C., area universities. Physiological and psychological variables were measured at pretest; students were then randomly assigned to a TM or control group. Posttest was 10 weeks later—just before final exam week. At posttest, the meditating students had higher Brain Integration Scale scores, less sleepiness, and faster habituation to a loud tone—they were less jumpy and irritable. "The pressures of college can be overwhelming—44% of college students binge drink, 37% report use of illegal drugs, 19% report clinical depression, and 13% report high levels of anxiety," said Fred Travis, lead author and director of the MUM brain research center. Travis said the data from the non-meditating control group showed the detrimental effects of college life on the students. "The control group had lower Brain Integration Scale scores, indicating their brain functioning was more fragmented—which can lead to more scattered and disorganized thinking and planning. The controls also showed an increase in sympathetic reactivity and sleepiness, which can correspond to greater anxiety, worry and irritability" he said. In contrast, Transcendental Meditation practice appeared to buffer the effects of high stress. "From pretest to posttest, Brain Integration Scale scores increased significantly, indicating greater breadth of planning, thinking, and perception of the environment. The sympathetic reactivity and sleepiness decreased among the TM group, which corresponds to greater emotional balance and wakefulness. "These statistically significant results among college students suggest that the practice of the Transcendental Meditation technique could be of substantial value for anyone facing an intense and challenging learning/working environment." Travis said. Patricia Spurio, one of the students in the TM control group, was carrying a full credit load, had a part-time internship, and helped organize a large rally on campus. "For me the greatest benefit was being able to have these two 20-minute periods of meditation. I could feel my whole body releasing the stress of the day. When done, I felt rested and ready for more activity. TM helped me get through it all in a more healthy and balanced way." More appropriate cortical preparatory response, a measure of efficiency of applying mental and motor resources to the task. The sympathetic nervous system responds to loud new tones. However, when you hear the noise again, you do not have to respond to it again. The person who is more balanced habituates—stops responding—very quickly. The person who is more anxious and worried will continue to respond to the tone. This is what was seen in the non-meditating students. The posttest was at the end of the semester—one week before Finals Week—the time of greatest pressure and stress for a student. Those students who practiced TM and regularly experienced the state of restful alertness during the practice were more awake. They reported less chance of dozing in eight common situations, on a standardized sleepiness scale. Preliminary research indicates that professional athletes (Norwegian), who won gold in World games and Olympic games, had higher Brain Integration scores. Top-level managers also have higher Brain Integration scores. Thus increasing one's Brain Integration Scale scores can provide a new basis for success, a new foundation to deal with the challenges we face in an ever-accelerating world. Things are in bloom over at Maharishi University, (Iowa) which just recently joined the Seed Savers Exchange. The program is designed "to preserve the genetic legacy of vegetables, herbs, flowers, and fruit trees" and for their part the students at Maharishi University will be growing a colored butterbean and saving the seeds. But, that's not all the school is doing to support agriculture. The campus hosted the Midwest Real Foods Summit, as part of the Real Food Challenge, with over 100 college students in attendance. The program discusses all manner of agriculture issues, such as "farm workers rights groups, student farmers, local food champions, fair trade campaigners and climate change activists." The program took participants on tours of area sustainable farms, and provided students a fresh, vegetarian meal from what the Maharishi U students eat on campus daily. Students interested in starting fair trade coffee shops on campus, organizing composting and farming projects and other green agricultural pursuits, as well as a career in agriculture attended to learn from each other and support each other. Not part of the university (related in name only), but also interested in healthy, sustainable food production is the Maharishi Vedic City Community Supported Agriculture, (MVC) which will begin offering local, organic produce on April 15. Food will be harvested the same day and available for just $30 a box or $20 for a slightly-more-than-half box. Both fruits and vegetables will be available, and many will be available for a longer season thanks to the large network of greenhouses at MVC. The Seed Savers Exchange program is a network of over 690 members that save their seeds and make them available to others, but who are also interested in preserving heirloom varieties of seeds (those that were available before World War II and the entrance of nasty chemicals). The exchange, based in Iowas, was founded in 1975 and today offers over 13,263 varieties of heirloom seeds. The Maharishi University colored butterbean seed is one that dates back over 100 years and has been passed down through the family of one of the faculty members. Over 11 pounds of seeds are now available and local gardeners/farmers can contact the program for more information. On April 4, at the Radio City Music Hall, Paul McCartney and Ringo Starr — former members of obscure pop group, The Beatles — will be reuniting for the first time since 2002 for David Lynch’s "Change Begins Within" concert, which benefits his foundation for "Consciousness-Based Education and World Peace." David Lynch, presumed ghostwriter for such sites as timecube.com as well as numerous Dr. Bronner’s soap bottles, has also started his own foundation based on Sting’s body movements and transcendental meditation. Turns out David Lynch doesn’t only enjoy midget dream sequences, hate the iPhone, make really bizarre commercials full of floating blue lips, but is also a leading promoter of transcendental meditation being taught in elementary schools. The show also features performances by Donovan, Eddie Vedder, Moby, Sheryl Crow, Ben Harper, Bettye LaVette, Paul Horn, and My Morning Jacket’s Jim James. 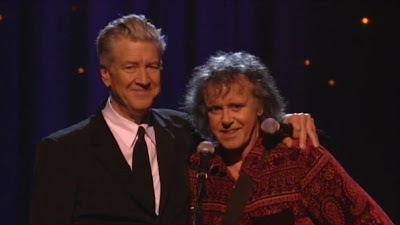 My only hope is that Donovan and Sheryl Crow dress up as John and George and get into a fist fight/make-out session with Paul and Ringo while David Lynch’s oversized head hovers 10-feet above the stage, green and holographic, singing "Maxwell’s Silver Hammer" to itself in reverse while Moby and Eddie Vedder waltz across the stage complementing each other profusely. Then Bettye LaVette will crawl on stage, smell a bottle of perfume, scream, laugh, cry, and fully climax, before she flies off, stage right, at which point Ben Harper wakes up in a cold sweat, relieved it was all just a dream. "Or was it?" he asks himself as he looks around to find that Paul Horn and Jim James are lying next to him, scandalously, in his California King. Come on. It’s entirely possible that this could happen, and you know it. The 1990's were a time of yuppies, day-traders and twenty something stock brokers. Any young upstart with a fresh idea and a borrowed suit could get investor cash for his or her dot-com, get-rich-quick, scheme. During that time, I saw my peers judging one another primarily by the car they drove, the watch they wore and how hot their dates looked. The power of so much money, so easily obtained, was intoxicating, and many of my generation began to identify themselves solely by their possessions. They placed almost no value on personal fulfillment despite their chronic lack of inner happiness. Instead they developed a dangerous routine of long work weeks and late night parties which often included drugs and alcohol. As for me, I had a different agenda. I had learned the Transcendental Meditation technique several years before. And though I loved beautiful things like anyone else, I also loved the beautiful, inner silence I experienced during my twice daily meditations even more. Through my practice of the Transcendental Meditation technique I found a place within me, from which all my creativity emerged; a flow of subtle impulses that guide me serenely through my daily life, even to this day. Unlike my friends, I like being quiet. I don't mind being alone and don't need to surround myself with constant activity. As I continue my practice of Transcendental Meditation I realize that I have been given an invaluable tool for self-fulfillment: a gift I could never pay for in dollars and cents. The Transcendental Meditation technique really works. Almost everyone has heard about it, and almost everyone knows someone who practices it. Most people know that it brings results and benefits that are scientifically validated. Yet those same people, many of whom are willing to throw money after anything, complain that spending $2000 to learn Transcendental Meditation is just too expensive. To them I say "As a matter of fact, you aren't exactly paying for it," This amount of money, as significant as it may be to many of us, will help support a world wide non profit organization, but does not provide a measure of the value of this technique. Because in truth, no amount of money can equal what Transcendental Meditation gives to us. The cost of learning the Transcendental Mediation technique is less than the cost of a one-week cruise or a family trip to Disney World. And no price can be placed on one's inner stability, happiness and the benefits that the Transcendental Meditation technique gives us. It's a simple effortless technique that brings improvement to all areas of life by creating a healthier body and a more efficient, fully functioning brain that is free from stress and anxiety. What price can we put on improved health, increased energy, creativity, happiness, better relationships and growing self-actualization? All this and more is possible according to the more than 600 published research studies and scores of theoretical papers, PhD dissertations and critical reviews from all over the world. Have you seen the statistics on how the TM technique reduces health care costs? http://www.doctorsontm.org/reduced-health-care-costs. Anyone who thinks the Transcendental Meditation technique is too expensive, should take a look at how much money America is spending on medical bills and health insurance every year. This savings alone makes the Transcendental Meditation course fee a smart investment. In addition, the course fees for Transcendental Meditation are comparable to many personal training programs that are taught in schools, businesses and other professional settings. The course fee includes approximately 10 hours of personal instruction and a lifetime of optional follow up classes. The TM organization is recognized by the IRS as a non-profit organization whose purpose is to provide educational programs for self-development, prosperity and world peace. The Transcendental Meditation course fee supports this non-profit educational organization, and allows it to bring the benefits of Transcendental Meditation all over the world. For those who cannot afford the course fee, the organization offers financial aid just like any other educational institution. There are also long term, low interest, student loans available as well as full and partial scholarships for qualifying students and families. The Transcendental Mediation organization also works closely with a number of charitable foundations that provide scholarships to those in substantial need. Over the past two years more than 50,000 students in schools across the United States, Latin America and Africa have learned the Transcendental Meditation technique through this program. 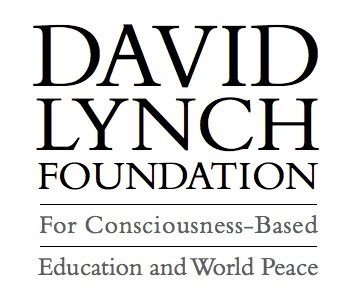 The most active foundation providing scholarships for the Transcendental Meditation technique in schools is the David Lynch Foundation (http://www.davidlynchfoundation.org). The most important thing about Transcendental Meditation is that the results speak for themselves. The value of the benefits I personally have received since I learned the Transcendental Meditation technique cannot be counted. It is the best investment in myself that I have ever made. Or, for that matter, that anyone can ever make. The short is simply David himself with a poster board and a black sharpie explaining the concept of transcendental meditation. He talks about how there are two things; mind and matter and how at the end of the smallest dissection of matter, scientists have found that there is a field of energy where there is no-thing. No thing. Atma. And from this field of no thing is where everything begins. And in order to arrive as humans to the same vibrational field of this field of no thing one must learn to look within through transcendental meditation; to arrive where there is love, bliss, joy, peace, etc. Lynch believes that in order to heal ourselves, particularly our youth in today's volatile school systems, we can 'unfold our enlightenment' by healing through meditation. And if there's anything we need as a society today, it is enlightenment. Lynch is know for personifying metaphor, theory, in his work, but this was the first time I had seen him explain an idea or belief in a linear fashion. It was awesome. Also performing at the event will be Eddie Vedder, Sheryl Crow, Ben Harper, Moby, My Morning Jacket’s Jim James, Paul Horn and Donovan, with Russell Simmons and actress Laura Dern making appearances as well. Both McCartney and Starr issued accompanying statements extolling the virtues of transcendental meditation. McCartney and Starr, along with Donovan and Horn, helped popularize transcendental meditation in 1968, when the four musicians traveled to India to study with Maharishi Mahesh Yogi. McCartney and Starr last performed together at a tribute show for George Harrison in 2002 in London. Kids from the Maharishi School will have their pictures flashed on screen at a Paul McCartney concert in New York. Legendary filmmaker David Lynch, who directed dark classics such as The Elephant Man, has asked the school for images to use at the star studded fund raiser on April 4. The film-maker's foundation, which promotes the use of transcendental meditiation in schools, is hoping to raise funds to teach a million children the method of relaxation with the show. Maharishi School Bursar Phil Mitchell was delighted at the school's involvement. “The fact that David Lynch has asked for photos from the school shows that he is aware of us and hopefully he'll tell Sir Paul about us,” he said. Phil said the school's involvement in the international event was proof of their growing reputation. The concert, which also features Sheryl Crow and Irish folk singer Donovan, will take place at Radio City Music Hall. SCOTTISH SIXTIES singer Donovan will join Sir Paul McCartney and Ringo Starr when the two former Beatles play together for the first time in seven years at a special concert next month to help one million children meditate - in a recreation of the historic time they shared in India 41 years ago. The folk singer famous for such songs as Mellow Yellow and Catch The Wind wants to open a transcendental meditation university in Scotland. 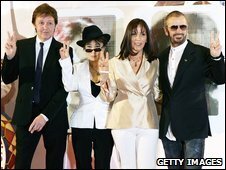 Now he is to join the ex-Beatles for a global benefit concert at Radio City Music Hall in New York City on April 4 to teach one million children the transcendental meditation technique - and change the world overnight. Glasgow-born Donovan, Sir Paul and Ringo will appear with a host of other famous musicians and friends including Eddie Vedder, Sheryl Crow, Paul Horn, Laura Dern, Mike Love and more. Donovan travelled to India with The Beatles in 1968 to learn transcendental meditation from the Maharishi Mahesh Yogi. It turned out to be a profound experience for all of them. His songs Hurdy Gurdy Man and Wear Your Love Like Heaven were inspired by his practice of transcendental meditation. In fact, the Beatles have said that most of the White Album was written while they were meditating in India with Maharishi. Sir Paul is known to use meditation techniques and paid tribute to the Maharishi Mahesh Yogi, the guru who brought transcendental meditation to the West, when he died last year aged 91. "He was a great man who worked tirelessly for the people of the world and the cause of unity. I will never forget the dedication that he wrote inside a book he once gave me, which read; radiate, bliss, consciousness', and that to me says it all. I will miss him but will always think of him with a smile," said Sir Paul last year. Donovan, 62, was one of the most popular British recording artists of his day, producing a series of hit albums and singles between 1965 and 1970. He became a friend of leading pop musicians including Joan Baez, Brian Jones, Bruce Springsteen and The Beatles, and was one of the few artists to collaborate on songs with the Beatles. He influenced both John Lennon and Sir Paul when he taught them his finger-picking guitar style in 1968. But he formed an alliance - to popularise transcendental meditation - with film director David Lynch, famous for Twin Peaks. Now Donovan wants to set up a Scottish university. The Invincible Donovan University will provide the traditional university subjects, but students will also undergo training in transcendental meditation. Donovan has said he would open the university in either Glasgow or Edinburgh, bringing the hippie dream of world peace to his home country. The singer said he would like to be involved with some teaching at the university, particularly in relation to music, but his role would mainly be within a steering group for the project. Lynch said he had practised the technique for more than 34 years. He said through his foundation he had found children undertaking meditation achieve better qualifications at school, boost their creativity, particularly in relation to the arts, and are more productive. Next month the Change Begins Within concert will raise funds to teach one million at-risk children to meditate - giving them life-long tools to overcome stress and violence and promote peace and success. Sir Paul said his transcendental meditation practice has helped him. "In moments of madness, it has helped me find moments of serenity," Sir Paul said. He added that he supports the work of the David Lynch Foundation to bring the technique to one million children. "I would like to think that it would help provide them a quiet haven in a not-so-quiet world." 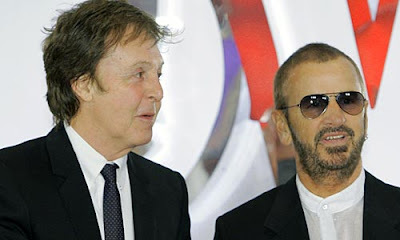 Ringo Starr said: "It gives me great pleasure to be part of this evening. I feel the aims of this charity are wonderful." Donovan added: "How great to be playing with Paul, Ringo, and Paul Horn again - as we did in India in 1968. Now we see the amazing results of our work from 40 years ago to bring meditation to the whole world. It's the same message today, which is, Change begins within.'" Die Ex-Beatles werden Headliner eines Benefiz-Konzerts in New York zugunsten der David Lynch Foundation. Diese setzt sich für die Verbreitung der Transzendentalen Meditation ein. Paul McCartney und Ringo Starr sind die Stars eines Benefiz-Konzerts in New York. Die beiden Ex-Beatles treten als Headliner der Veranstaltung am 4. April zugunsten der David Lynch Foundation auf, wie die Stiftung am Donnerstag ankündigte. An dem Konzert in der Radio City Music Hall werden auch Sheryl Crow, Eddie Vedder, Moby und Bettye Lavette teilnehmen. Die Stiftung des Filmregisseurs Lynch ("Blue Velvet", "Twin Peaks") setzt sich für die Verbreitung der Transzendentalen Meditation (TM) des indischen Gurus Maharishi Mahesh Yogi ein. The issue of Post-Traumatic Stress Disorder has reached public attention in an unexpected way through the revelations that our military medical establishment has failed on major fronts to provide the very best treatment deserved by American servicemen and women returning from conflict. When wounded military personnel return from battle, they often feel angry and depressed. What are we going to do about them? More keep coming. Do we have any fresh solutions for them after politicians have performed in anger in front of the cameras, and the bureaucratic deck is shuffled and new top brass brought in? Will it be business as usual once the publicity dust has settled? Has anyone proposed anything new for our afflicted GIs? During these difficult times, all military and civilian leaders struggle to do more with less resources. Working under such constraints is a great challenge. Not just our soldiers need help, but our leaders as well. Stress-related problems at military and VA facilities could be turned around quickly. To do that I propose a very fresh and scientifically-validated option—Transcendental Meditation (TM), a simple program of mental relaxation proven in multiple research studies to reduce all kinds of stress-related problems. TM is a non-religious practice done twice a day for twenty minutes that anyone can learn to do. It carries one’s awareness to a profound level of rest, revitalizing a frazzled nervous system and clearing out deep-seated stress. A study with Vietnam veterans showed that the technique is highly effective against post-traumatic stress. The participants in the study were randomly assigned to either meditation or psychotherapy. Compared to psychotherapy, three months practice of the TM program brought significantly greater reductions in eight out of nine criteria, including emotional numbness, anxiety, depression, alcohol consumption, insomnia, family problems, and unemployment. The study appeared in the peer-reviewed Journal of Counseling and Development in 1985. Wounded and traumatized personnel need—and deserve—every opportunity to regain and sustain their health. Why not try innovative methods as well as conventional? Research shows that practitioners of the TM technique rise to a higher level of health. For instance, a 1987 study in Psychosomatic Medicine, a mainstream medical journal, monitored for five years the medical care utilization of 2,000 Americans who regularly practiced the TM technique. The findings: 50 percent fewer doctor visits and hospital admissions than non-meditators of comparable age, gender, profession, and insurance terms. Multiple statistical reviews published in respected scientific journals provide powerful evidence for the superior effectiveness of the TM program in the areas of blood pressure and anxiety reduction, self-fulfillment, physiological relaxation, improved psychological outcomes, and decreased use of drugs, alcohol and cigarettes. If you are interested in the research, check out the web sites http://www.tm.cme.edu/stress and http://www.truthabouttm.org. The TM technique is a portable strategy. After learning the technique, all you need is a comfortable place to sit and close the eyes. No additional resources are needed. The self-reliance of this approach has appeal for a "warrior mind-set." To more effectively and efficiently treat the wounded minds of our warriors who protect the nation, we need to add innovation into the healing mix of services we provide. TM offers a do less and accomplish more approach that can not only help those precious minds and lives but also save money in the process. Upon first hearing about the treatment shortcomings in our military medical facilities, a retired senior military leader wrote: "After other wars, they didn't have a place to stay, so they lived on steam grates and in cardboard boxes." Clearly we have made great progress and surely lead the world in the way we treat and rehabilitate our service personnel. The Veterans Administration deserves all the credit for that. However, the continuing scandal over the medical evaluation, housing, and processing for our wounded shows that still more improvement is needed. The Pentagon wants Congress to boost baseline spending next fiscal year to $38.7 billion for the health care of troops and families. Even if this level of funding is allocated, it will not alleviate a primary root cause—stress—for many of the problems affecting our soldiers. For that, a new approach is needed. That new approach can be a proven stress-buster like TM. It could easily be taught to interested members and veterans of our armed forces. If military medical authorities give approval the positive benefits could start to be reaped immediately. No buildings would need to be built. No major procurement necessary. Just set up some chairs in an empty room. Hire some TM teachers. Put out the word and start teaching. Col. Brian Rees, M.D., a doctor who deployed to Afghanistan and is now serving a second deployment in Iraq with the US Army Reserve, is a longtime practitioner of TM. He recently shared these thoughts with me: "The uncomfortable travel, the boredom, the heat, the separation from home and family, are difficult and stressful. Throw in big ticket items like casualties and hostile fire, and I can't imagine being without TM. The concentrated rest and personal centering it affords are invaluable in this environment. I think it's our most promising hole card in addressing the wave of post-traumatic stress we are going to be seeing." About David R. Leffler, Ph.D.
Dr. Leffler is the Executive Director at the Center for Advanced Military Science (CAMS) - www.StrongMilitary.org. David was a member of the U.S. Air Force for eight years. 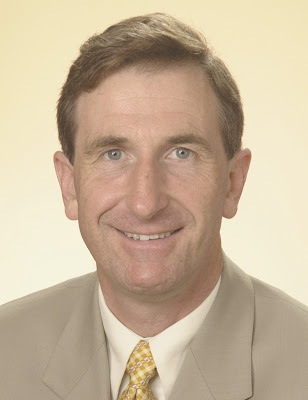 He serves as an Associate of the Proteus Management Group at the Center for Strategic Leadership, US Army War College and is a member of the U.S. Naval Institute. 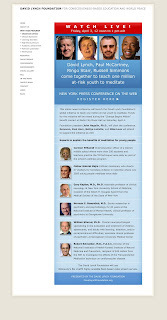 Dr. Leffler's list of publications discussing the military potential of the Transcendental Meditation program, including a link to his 177-page doctoral dissertation are available at www.DavidLeffler.com. Sir Paul McCartney and Ringo Starr are to appear at a charity concert in New York next month. Sir Paul will headline the concert at the Radio City Music Hall on 4 April, while Starr has been named among a string of special guests. The David Lynch Foundation initially said the pair would perform together. But a spokesman for Sir Paul said a collaboration had not been confirmed and a spokeswoman for Starr said he would perform "a few songs on his own". The David Lynch Foundation, set up by the film director, promotes transcendental meditation in schools. The organisation's UK arm initially said Sir Paul and Starr would "definitely" perform together. But a spokesman later said their reunion had not been finalised. In a statement about the show, Sir Paul said he had practiced transcendental meditation for 40 years. "In moments of madness, it has helped me find moments of serenity," he said. The show will aim to raise enough money to teach one million at risk children to meditate. "I would like to think that it would help provide them a quiet haven in a not-so-quiet world," Sir Paul said. Starr added: "It gives me great pleasure to be part of this evening. I feel the aims of this charity are wonderful." The two Beatles legends last performed together at a tribute concert for George Harrison in 2002. They were joined by Eric Clapton to perform While My Guitar Gently Weeps at the show at the Royal Albert Hall. Sir Paul and Starr, along with Harrison, also played in private in 1994 to record material for their Anthology series. Sheryl Crow, Donovan, Eddie Vedder, Ben Harper and Moby will be among the other musicians taking part in the New York show. Tickets go on sale on Monday. NEW YORK, March 4 /PRNewswire/ -- Paul McCartney and special guests Ringo Starr, Sheryl Crow, Donovan, Eddie Vedder, Ben Harper, Moby, Paul Horn, Bettye LaVette, and Jim James will perform at the David Lynch Foundation's benefit concert, "Change Begins Within," at Radio City Music Hall in New York on Saturday, April 4th, 7:30 p.m.
Tickets go on sale Monday, March 9, at 11 a.m. through www.ticketmaster.com or by calling 866-858-0008. "Change Begins Within" will raise funds to teach one million at-risk children to meditate - giving them life-long tools to overcome stress and violence and promote peace and success in their lives. In 1968, the Beatles, Donovan, and Paul Horn traveled to India to study Transcendental Meditation with Maharishi Mahesh Yogi. The trip's dramatic impact was evident on their music and is credited for the acceptance of meditation in the West today. Paul McCartney said his Transcendental Meditation practice has helped him personally over the past 40 years. "In moments of madness, it has helped me find moments of serenity," Paul said. He added that he supports the work of the David Lynch Foundation to bring the technique to one million children for the same reason. "I would like to think that it would help provide them a quiet haven in a not-so-quiet world." Ringo Starr expressed his personal satisfaction to be performing at the concert: "It gives me great pleasure to be part of this evening. I feel the aims of this charity are wonderful!" Donovan added: "How great to be playing with Paul, Ringo, and Paul Horn again - as we did in India in 1968. And now we see the amazing results of our work from 40 years ago to bring meditation to the whole world. It's the same message today, which is, 'Change begins within.'" George Verschoor is the executive producer and co-creative director of the concert, Dan Parise is co-executive producer, and Laura Dawn is talent producer and co-creative director. Meditation has come a long way since The Beatles first promoted it as a natural alternative to LSD in the 1960s. It is now a serious psychological discipline, as likely to be used by heart patients in hospitals as hippies in an ashram. In these days of economic turmoil, it is also a very effective way of managing stress and anxiety. "No matter what problem you have you'll solve it better with a clear mind," says Michael Herbert who has meditated for the last 20-odd years. As a teenager and a huge Beatles fan, he became fascinated with the subject. Now in his mid-50s, and retired from Windsor Motors where he was managing director, he credits meditation with both his success in business and his overall sense of well-being. "When you're in a difficulty, and a lot of people are at the moment, it's hard to think clearly. The mind is like a glass of muddy water. If you're stressed, you're stirring it the whole time so it's constantly cloudy. If you let it go still, the mud will drop to the bottom and you'll see clearly. In meditation that's exactly what happens. The mind calms down to the point where it comes clear." Herbert is a disciple of transcendental meditation (TM), the technique pioneered by The Beatles' former guru Maharishi Mahesh Yogi. It's now being taught to kids in schools across America thanks to a foundation set-up by surrealist Hollywood film director David Lynch, who practises TM twice a day. 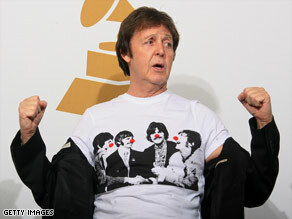 Lynch has persuaded former Beatle Paul McCartney to give a benefit concert for the foundation next month. The Twin Peaks director has also written a book on the subject, Catching the Big Fish: Meditation, Consciousness, and Creativity. He believes TM helped unleash his creativity and made him a happier person. "If you were a burglar, you'd become a much better burglar," says Lynch of TM. "But after a while, you would probably say, well, wait a minute. You would probably have compassion for people you were burglarising. You might even bring some stuff back." The medical establishment too is tuning in to the benefits of meditation. It's being used to treat heart disease, high blood pressure and cancer, along with a host of mental ailments. At Tallaght Hospital, psychologist Veronica Doherty runs a meditation-style course for patients diagnosed with heart disease as part of a research study. "Meditation has great potential," she says. "Stress is definitely a component that contributes to heart disease. We've had very positive early results." Doherty's course is on 'mindfulness', a kind of meditation-lite. She teaches patients to pay attention to both their thoughts and any physical tension they hold in their bodies. "Often the very first signs of stress occur in the body. For example you feel neck strain or you're not sleeping well, or waking up tense. Part of the training is that when you can spot minor changes in the body, you'll also spot the repetition of thoughts going on in your head." According to Doherty, the most damaging thoughts are negative and controlling. They are a huge contributor to stress. "We are finding that after the third week what's going on in a person's head becomes clear for the first time. It's about accepting the level of negative thoughts, not suppressing them. It's something you can change." Dublin taxi-driver Ken Farrell (58) was one of the first patients on Doherty's course and was referred by the cardiac rehabilitation team at Tallaght Hospital. "I wasn't well but I didn't know what was wrong with me," he says. "My breathing was bad. I went to the hospital and they discovered that three of my heart arteries were partially blocked." Doherty's mindfulness course not only improved Farrell's breathing and helped him manage stress, it also cured his persistent neck pain. "I was on a waiting list to see a specialist about the neck pain. During the course I started concentrating on those pains. At first I could feel the pain more when I was with it. But the whole thing relaxed me and after a while it disappeared. I had it for years so I put it down to the course. You take a deep breath in and bring your breath around your body. I've learnt how to do that." Farrell doesn't worry about his heart problem now, although it's still a medical issue. He practises mindfulness with tapes and says he has never felt more confident. Doherty's study is the first to look at meditation among heart patients. Elsewhere, studies have shown the benefits of meditation for pain-relief in cancer patients, the management of high blood pressure and attention deficit disorder in children. "Many of the studies are very new," says Doherty. "The medical establishment has only embraced this recently." The TM movement was an early pioneer of meditation research. It has its own Maharishi University in Iowa, America. Many of its research studies have been published in reputable scientific journals, again showing both mental and physical benefits. An independent study at the University of Michigan, for example, showed that children who practised TM appeared to score significantly higher on tests of self-esteem and emotional competence. John Burns teaches TM in Ireland and describes it as an effortless technique based on a personalised mantra. "The mantra facilitates the mind transcending and settling down. When a person comes out of TM, they're very alert mentally and very relaxed physically. It's the combination of the two that attracts people to it." He believes the current economic turmoil is an ideal time to explore meditation. "We've always had people come for either two reasons. They've had change in their life that they find stressful or they feel there must be more to life than what they're experiencing." "Both things are happening now. People are being forced to take stock. They're thinking there's got to be more than this up and down roller coaster. People believed in the economic success and that it would go on forever. That's proving wrong. Meditation is a way to find stability in the middle of all this chaos."